On 11 February 1894, Amy, aged 17, married Theodore Handel Mendelsshon Hearn, aged 25, son of Andrew Richard Hearn and Cecilia Vosper Brandon, in BC Church in Port Augusta, South Australia . Harold Hearne was born on 3 September 1894 in Wilmington, South Australia , son of Theodore Handel Mendelsshon Hearn and Amy Laura Corbett. 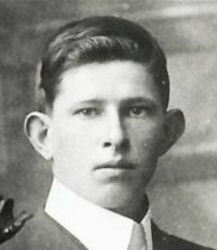 Claud Raymond Hearn was also called "Claude Raymond Hearne. "1 He was born on 29 February 1896 in Port Augusta Extension, South Australia , son of Theodore Handel Mendelsshon Hearn and Amy Laura Corbett. Cecilia Sarah Hearn was born on 19 December 1897 in Wilmington, South Australia , daughter of Theodore Handel Mendelsshon Hearn and Amy Laura Corbett. Archie Hearne was born on 9 September 1902 in Wilmington, South Australia , son of Theodore Handel Mendelsshon Hearn and Amy Laura Corbett. 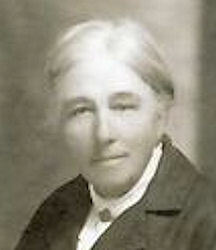 Fanny Norley was born on 28 June 1860 in Ashford, Kent, England , daughter of Alfred Norley and Elizabeth Burgess. On 24 May 1883, Fanny, aged 22, married Samuel Herbert Brandon, aged 30, son of Thomas Brandon and Amelia Vosper, in res. of Mr. Wilson in Prospect, South Australia . Louisa Lily Brandon was born on 8 March 1884 in Pinda, South Australia , daughter of Samuel Herbert Brandon and Fanny Norley. 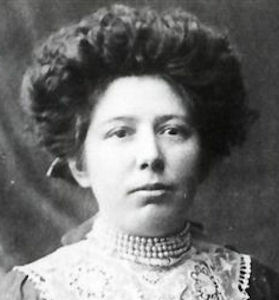 On 1 January 1908, Louisa, aged 23, married George Herbert Hearn, aged 26, son of Andrew Richard Hearn and Cecilia Vosper Brandon, in Methodist Church in Wilmington, South Australia . Alfred Thomas Brandon was born on 24 October 1886 in Willochra, South Australia , son of Samuel Herbert Brandon and Fanny Norley.